Citylets noticed that mobile visitors were an increasing source of traffic for their site – the leading Scottish property rental portal. We worked with them to develop a strategy for providing a better experience for mobile users. With a recently refreshed iPhone / iPad app, they wanted something that would provide a solution for the remaining types of smartphone, or casual users with an iPhone who didn’t want to download the app. 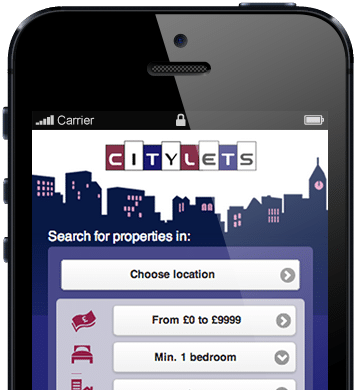 The new mobile site went live in Q4 2013 and was an instant success, the number of rental enquiries generated from the mobile app increased by 50% in the first week, and the jquery mobile app was so successful that plans for an upgrade to the Citylets Android app were shelved.